UPDATE: Police said the suspect, a 49-year-old male surnamed Jia, assaulted the children with a hammer after his contract with the school’s labor company was not renewed. Police said the contract is due to expire this month. At a conference following the incident, the head of the Xicheng district government Wang Shaofeng apologized to the students and their parents. He said the government has offered psychological help to the affected children and vowed to tighten security at campuses. Beijing authorities detained a man suspected of carrying out an attack that wounded 20 children at Beijing No. 1 Affiliated Elementary School of Xuanwu Normal School in Xicheng District on Tuesday (January 8). Three of the children who had serious but non-life-threatening injuries were treated in the nearby Xuanwu Hospital. Beijing police said the attack happened after 11.15am. Video footage widely shared on social media showed a meeting between staff and angry parents following the incident, with the head teacher saying the attacker was a “school worker,” and that the victims were second graders. Police have detained a man in relation to the school attack. 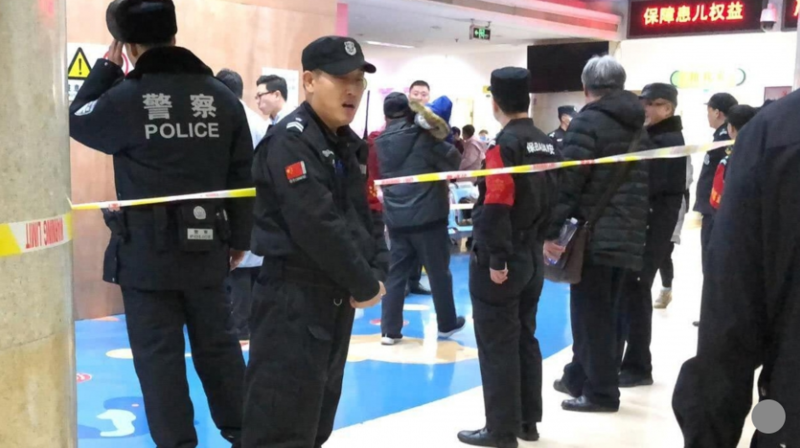 There were conflicting reports about which weapon had been used in the attack, but a parent claimed the victims were “all younger students and were stabbed by an adult.” Global Times said in a tweet that the attacker used a hammer. A further investigation is underway. Reports of violent attacks are rare in China, but there are incidents that have received national attention. Last week, a court in Southern China ordered the execution of a man who injured 12 children in a knife attack at a nursery in January 2017. None of the children died but four of them were seriously injured. State media said the attacker, later identified as Qin Pengan, carried out the attack “in revenge for his life not going as he wanted” and over a dispute with a neighbor. WeChat Reports of Missing Children: Helpful or Harmful?